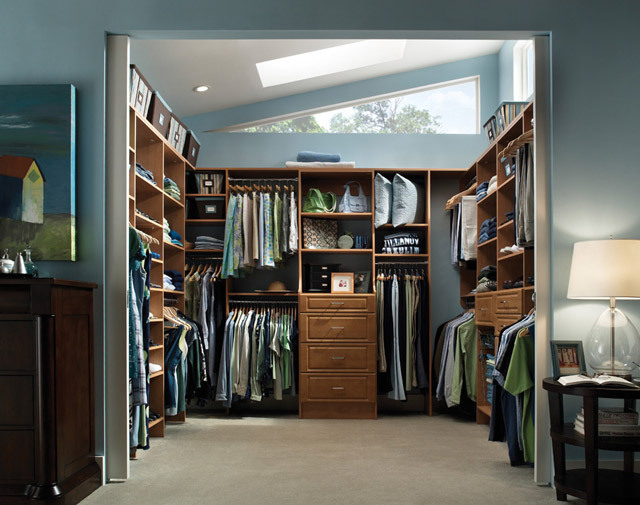 Open the door to a new sense of order and organization in your home. 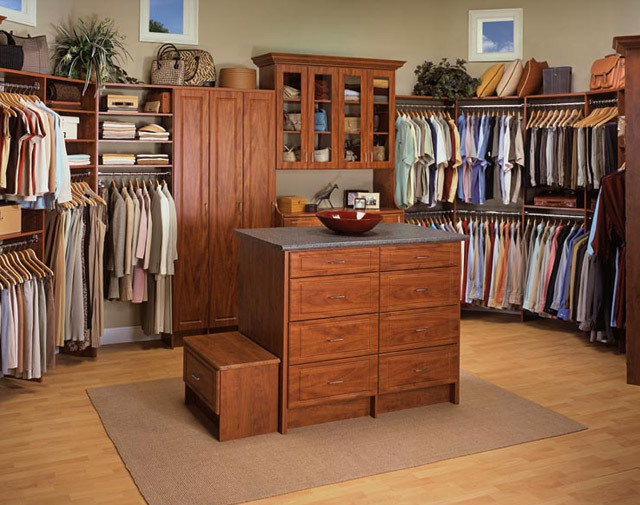 We're here to help jumpstart your project with thought-provoking ideas and a step-by-step process to design, prepare and install the storage system you've always wanted. 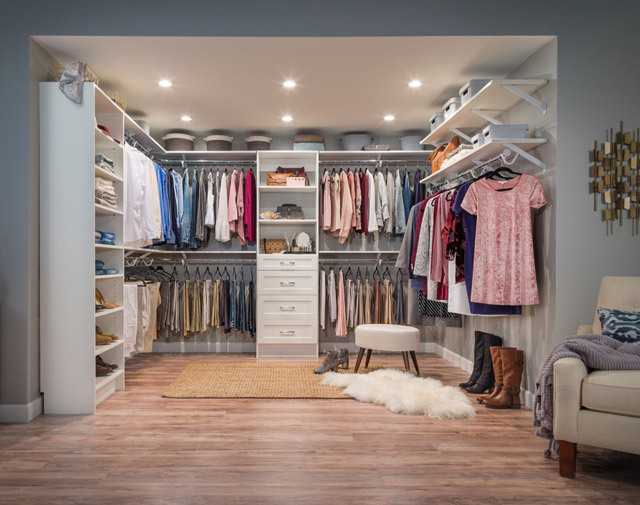 Whether you need a clutter-buster for your closet or a space saver for your pantry, there's a closet shelving solution for every storage area in your home... and all the stuff you put in it!. 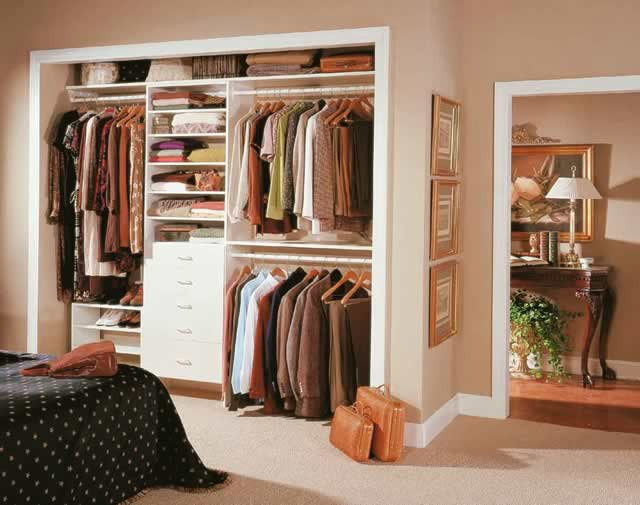 There are two types of closets available: reach-in and walk-in. 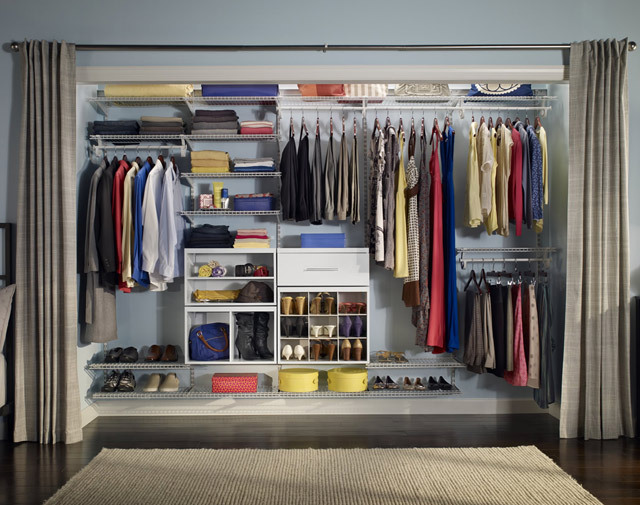 Reach-ins are built into a wall, closed off by a door and only deep enough to hang or store clothes on a single wall. 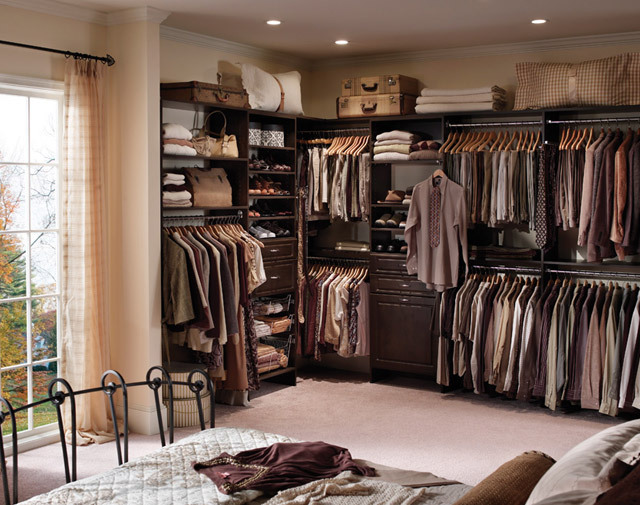 Walk-ins are large enough to walk inside and store clothes on 2-3 walls. Combine the functionality you need with the look you want by selecting either a laminate/wood solution or a wire solution. 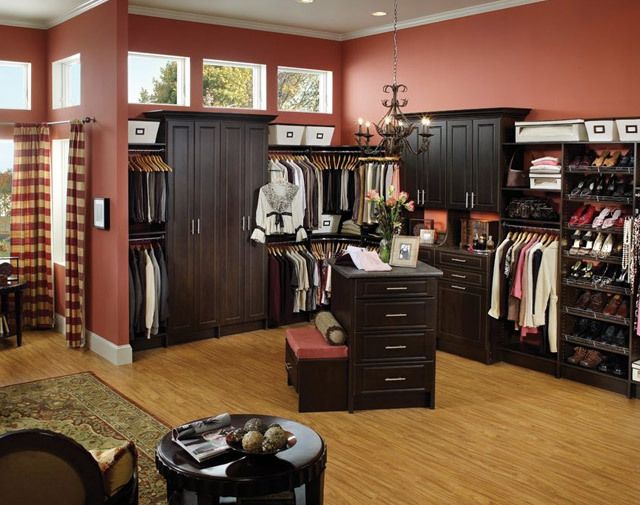 Laminate/wood closet solutions are functional and fashionable. They are the perfect pick for pairing elegant design with durability. They work well as both a space enhancer and a stylish storage option for most rooms/closets. Wire closet solutions are affordable and very durable. They are easy to install, adjust, rearrange and remove. 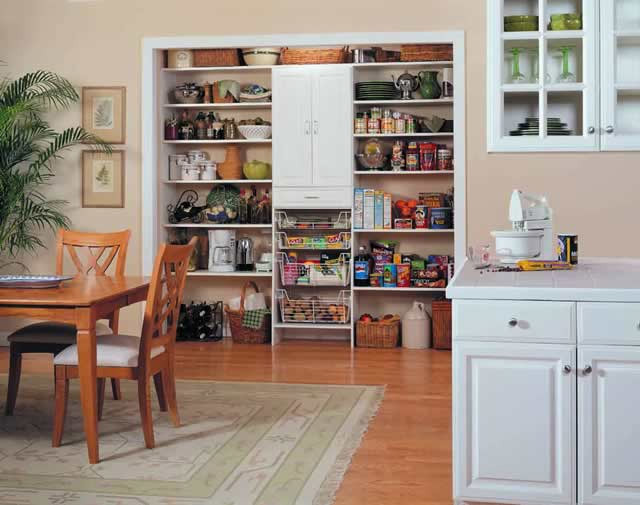 The ventilated design is great for at-a-glance storage in pantries and laundry rooms and an ideal choice for kids' rooms.